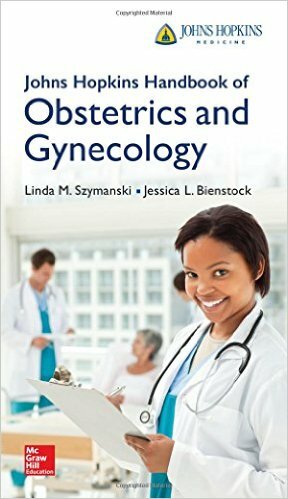 The Johns Hopkins Handbook of Obstetrics and Gynecology provides you with essential, easily located information to address treatment and management questions and gives you immediate guidance on difficult clinical decisions that you face in daily practice. In addition to general obstetric and gynecologic coverage, it includes the subspecialties of gynecologic oncology, reproductive endocrinology and infertility, and urogynecology. This concise book is packed with protocol-driven instruction and successfully presents complex information through the use of an outline format consisting exclusively of bullets, tables, and figures. Based on Johns Hopkins and ACOG Practice Guidelines, this carry-everywhere reference offers quick answers that you can trust when there isn't time to read a chapter, access a computer, or scan summary articles to find that one key bit of information.